Last month we had the pleasure of sitting down with Lewis Kneale, the director/founder/originator of a Men+Co favourite, Little Dippa Cocktail Coffee. 5 years ago while working/running HooHaa on Chapel St., Lewis was General Manager, running the busy bar, trying to crank out Espresso Martini’s for the line of patrons. He thought to himself, “there has got to be a better quality cocktail coffee to use for the martini’s instead of the current antiquated method of making each espresso shot by hand”, so he set out to create a machine to make cold extracted coffee for these specialty cocktails. This was the start of a major change for him. 6 months later, backed by his beloved team at HooHaa and armed with his method, machine and the knowlegde of being a barista and bartender, Lewis was in business. Little Drippa was rolling out, scaling up to be a huge success in the coffee epicentre of Australia and possibly the coffee drinking world! What started as a small scale operation of 5L in 24 hours steadily grew to the current operation of 2000L in 24 hours. The operating is still growing, with its scale soon to be 4000L in 24 hours! 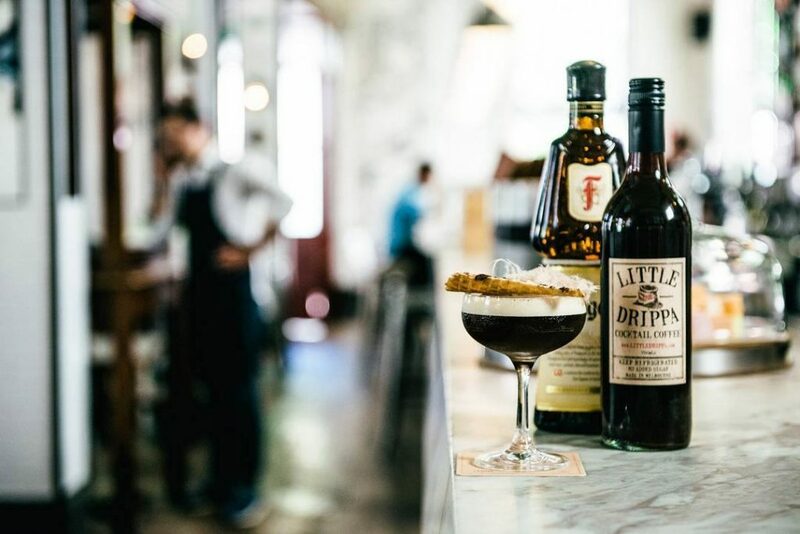 This cocktail coffee tycoon has single handedly changed the way Australians enjoy their favourite bar time pick me up – the Espresso Martini. 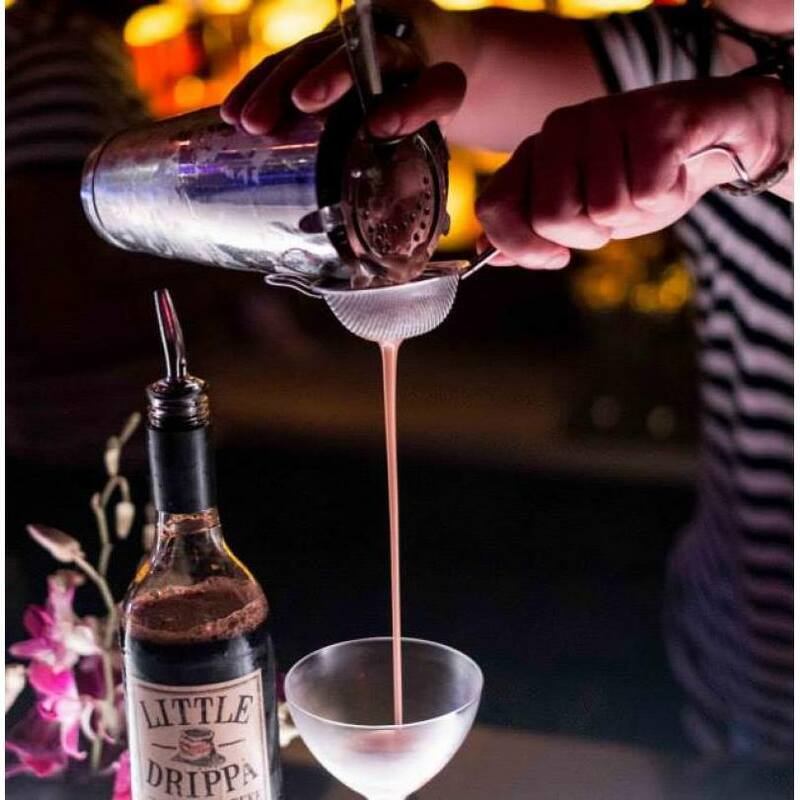 The brand Little Drippa was picked up two years ago by one of the biggest independent distributors of spirits in Australia (Thinkspirits) and now has the opportunity to change the way we, consumers, drink cocktails and Espresso Martinis. Enter, Melbourne Martini, a sweet little brand that uses the Little Drippa cocktail coffee in the Espresso Martini. 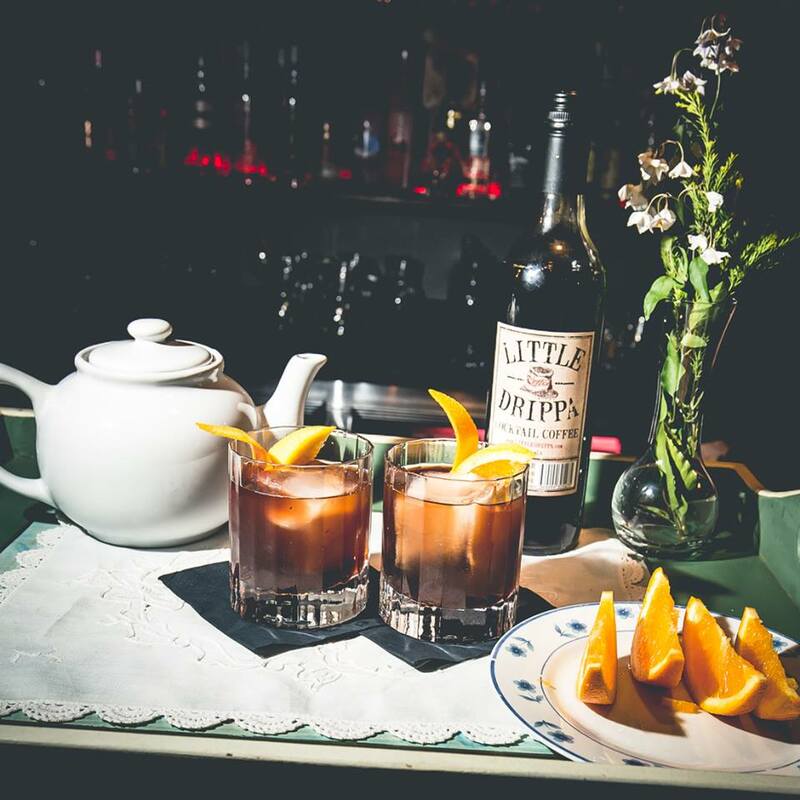 They also offer, Negronis, Amaretto Sours and Margartitas all made from natural, gluten free, vegan, high quality ingredients! Sure to please even the most discriminating cocktail enthusiast either pre or post party! Just chill and pour over ice or shake with ice then serve up! Amazing! This month at the Storeroom Secret Bar @ the St Kilda Barbershop we will not only be featuring some great cocktails with Little Drippa Cocktail Coffee but also a little giveaway of the 4 pack of Melbourne Martinis. The secret word to be spoken in order to be entered in the Dec 23 giveaway is “Secret Santa“. Tell your barber when you get your next cut and your name is thrown into the hat. We will be giving away 2 sets of the martinis at both locations! So what’s on the horizon for our coffee connoisseurs in Melbourne? More and more of the lovely dark ambrosia we all crave, in all the various forms: cold drip and hopefully a renaissance of the filter kind too! 0 Comments on "Little Drippa Cocktail Coffee"